Say “I love you” with the perfect flower bouquet or flower arrangement. Our Anniversary collections will set the mood for an occasion she loves to celebrate. If flowers aren't enough, chose from sweet chocolate, big balloons, cakes or other love gifts. Going to a romantic restaurant? Call us to schedule delivery for the perfect surprise! Trust us for the perfect gift, and as always, we offer flower delivery on the same-day. Get the gifts ready because it's time to celebrate your anniversary! When your spouse or girlfriend needs to the affection, 800flower.ae is ready to deliver. Taking time to select a thoughtful flower bouquet or flower arrangement will show them you remembered your anniversary. Order online, and we'll deliver same-day. Let us help you personalize your anniversary gift with standard and premium greeting cards full of love! Some of the most popular love and romance flowers are roses, peonies, tulips, other seasonal stems. Each love flower arrangement is hand-designed by our team of master florists to ensure your sentiments are conveyed to make it a perfect wedding anniversary celebration. Choose from the classic red roses bouquet, or choose a wild bouquet of fresh vibrant peonies for the luxury-oriented person in your life. 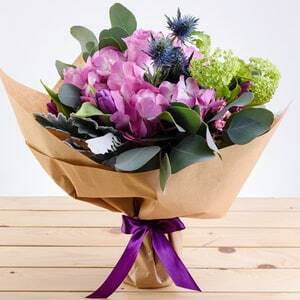 Remember, sending flowers and gifts from 800flower.ae is easy, fast, and secure. We have hundreds of flowers online and do trust, private online deliveries in Dubai, Abu Dhabi, and across the UAE 7 days a week. We deliver anniversary flowers and gifts to any home, business, hotels, hospitals and even restaurants if you want to create a romantic surprise. Make her fall in love again.